News and Announcements for the Week of April 22nd. Click on the link to read this week's news and announcements. Have some Hawkins news or an announcement? Email your request to hawkinscommunication@gmail.com. Begin the process of applying to ASB Leadership by completing this online form. Be sure to see Ms. Castillo in room 217 to get any other documents and if you have any questions. The Critical Design and Gaming School achieves Linked Learning Gold Certification, the highest standard of excellence in the Linked Learning field. 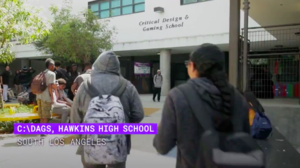 The Critical Design and Gaming School (C:\DAGS) at Augustus Hawkins High School Complex was recently featured by Google Play in their celebration of World Teachers Day. C:\DAGS Students Return to "The Situation Room"
Mr. Ulloa's AP Government students stabilized the stock market, avoided war, and held four press conferences all before lunch. 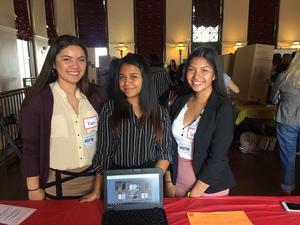 On May 10th, Seniors from RISE presented their business plans at LA Trade Tech competing against local schools and judged by industry professionals, college staff and celebrities. 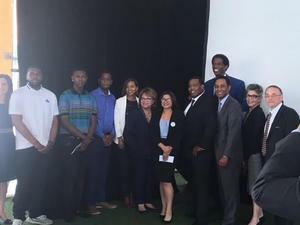 One of our RISE seniors brought home the top prize winning $5000. CHAS recently met the requirements necessary to become a silver certified Linked Learning school. This designation, established by the Linked Learning Alliance, validates that CHAS has the core components of a Linked Learning pathway in place and officially states that CHAS has reached a key milestone in its pathway development. CHAS Physiology students get university experience at the UC Irvine Medical Center. 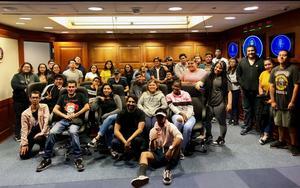 C:\DAGS 10th Graders toured Warner Bros. Studio and got an exclusive screening of the new hit Ready Player One.